Which insurance companies have the best policies for the Bank On Yourself Concept? 1. They are dividend paying whole life policies from companies that have paid dividends every single year for at least the past 100 years in a row. 2. They are “non-direct recognition” companies, which means they credit you the exact same dividend even when you’ve taken a loan from your policy. That lets you use your money and still have it growing for you as though you never touched it. Some companies do their best to discourage policy owners from taking policy loans. That makes no sense, since the company must either loan or invest the premiums in order to deliver on their promises to policy owners. Policy loans are perhaps the most reliable place the company can put money to work, because you’re either going to pay your loan back with interest while you’re alive, or the company will get it back when you die. Since the death benefit is used as collateral for policy loans, the company deducts any outstanding loans and any interest due on them before paying the claim. One well-known company that you’ll sometimes hear suggested for the Bank On Yourself Concept because of it’s dividend paying track record pays policyowners a different dividend on the money they have borrowed. The company is quick to warn you how much your dividend will be lowered if you don’t pay the loan back immediately. And to make matters worse, this company lowers their agents commission if their clients have what the company deems “too many” policy loans. But using your cash values to become your own source of financing is one of the most popular benefits of the Bank On Yourself Concept. How much help do you think you’ll get from an advisor who’s going to take a commission cut for helping you put your policy to work for you while you’re alive? 3. The companies offer a flexible Paid-Up Additions Rider (“PUAR”). At least 50% of your premium will typically be directed into this Rider, which makes your cash value grow up to 40 times faster than a policy that does not include this Rider. Most companies that offer this Rider don’t give you a lot of flexibility in paying it. 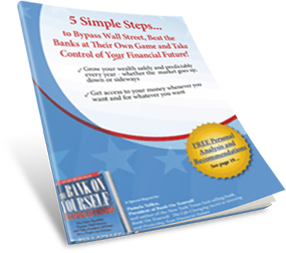 Bank On Yourself Advisors recommend companies that allow you to pay a portion of your PUAR premium when and how you want, and you can make partial payments or skip payments and be able to make up for them later. In addition, you can typically withdraw your paid-up additions and put them back in later. Many insurance agents and advisors don’t know much about this Rider – or won’t tell you about it if they do – because it reduces their commission by 50-70%. 4. 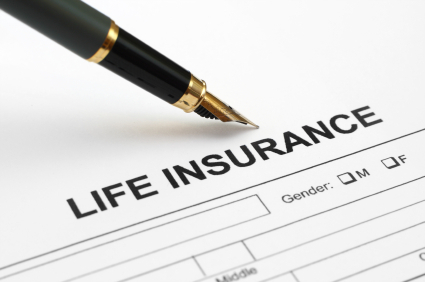 The life insurance company understands and supports the Bank On Yourself Concept. 5. The insurance companies recommended by the Bank On Yourself Authorized Advisors are among the financially strongest in the country, as determined by several different independent rating agencies. Is there a list of insurance companies recommended for Bank On Yourself? Bank On Yourself founder, Pamela Yellen, is an educator only, not a licensed financial advisor, which means she’s prohibited from recommending or naming any specific companies. And knowing the names of the companies isn’t enough. Equally important is that your policy be designed properly. If it isn’t, your plan could grow much more slowly, lose the tax advantages, or both. It’s the job of the Bank On Yourself Authorized Advisors to look at your overall financial picture in order to design a customized plan that will help you reach your long-term and short-term goals… and then recommend the company that’s most suitable for your situation. When you request a free, no-obligation Analysis, you’ll get a referral to one of only 200 financial advisors in the country who have met the rigorous training and requirements to be an Authorized Advisor. The Advisor selected for you will be happy to provide you whatever data and information you’d like about the insurance company selected for your plan, so you can do your due diligence and satisfy yourself that the company is financially sound. Request your FREE Analysis here to get started now.